Home Blog Can Dogs Eat Watermelon? One of the most refreshing treats for us dog owners – perhaps after a long day at work, on a hot summer day or as a healthy snack between meals – is watermelon. That irresistible and juicy red fruit that almost melts away in your mouth as you bite into it; one it is close to impossible not to love, and that… wait a second. There are two big round eyes staring up at you as you munch away; two adorable yet incredibly demanding puppy eyes that won’t let you finish your watermelon without feeling like the worst pup parent in the world. Can dogs have watermelon? The question lingers in the air as you look at your four-legged friend, and he looks back at that fruit slice in your hand. Is watermelon okay for dogs? You might also like: Can Dogs Eat Celery? So, can a dog eat watermelon? The answer is simply yes, they can, and they will most likely love it just as much as you do! It is crunchy, juicy and sweet at the same time, and many are the dog owners that can proclaim “Yes, my dog ate watermelon, and yes, my dog loves watermelon.” The watermelon is a harmless fruit that can be used as a special treat whenever you set the fruit plate out, making watermelon and dogs an excellent combination! If your dog loves watermelon – let him have some. Leaving out watermelon rinds for a dog to chew on is not advisable, however, since it could cause an upset stomach, which must of us want to avoid at all costs. Watermelon seeds and dogs are also a bad idea, due to the risk of them causing intestinal blockage, so buy a seedless watermelon or remove the seeds before feeding the fruit to your dog. If fed watermelon seeds dogs can end up experiencing some digestive issues, so it is best to avoid them all together. Same as with adult dogs – yes, watermelon for puppies is perfectly safe. If the puppy is very young and not yet used to trying different foods, then you might want to take it a little easy when introducing the fruit by feeding only small amounts at a time, but it is perfectly safe to feed your puppy dog watermelon. 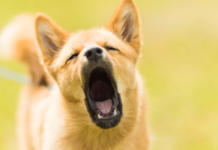 Dogs and especially puppies should always be supervised when eating treats, no matter how safe they are, but this particular treat is probably one of the safest there is considering how soft it is and how easy it comes apart when chewed or sucked on. Remember to remove the seeds and the rind before giving watermelon to your puppy. 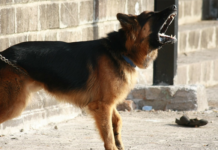 The Rind – What if a Puppy Eats It? Can dogs eat watermelon rind? Well, they can, but they shouldn’t. There are some health concerns when it comes to the rind, such as irritation in the stomach and potential blockage if eaten whole. Puppies are often small and sensitive, and while it is unlikely that the rind will cause real harm, it is always better to be safe than sorry. Sensitive tummies will love these dog foods for sensitive stomachs. Should you have already given your puppy a watermelon rind, or perhaps he or she snatched one off the counter, it isn’t the end of the world. The rind can cause gastrointestinal upset and stomach aches, but it is not toxic or poisonous in any way, and the symptoms will pass. If you think they may have swallowed a large piece without chewing it first, though, then you might want to consult with a veterinarian since it could cause obstruction. An obstruction in the intestines is a serious condition and a risk especially for puppies since they are often curious and somewhat unaware of their own body’s capacity to digest large objects. This applies to many adult dogs, too. Puppies and dogs eat watermelon because it’s a delightful treat, but while the fruit consists of about 92% water – it is also packed with nutrients! Every bite your dog takes gives them a healthy dose of vitamin A, vitamin C, and vitamin B6, as well as antioxidants, lycopene, and amino acids – making watermelon good for dogs to eat as a healthy treat. Can dogs eat watermelon? Yes, they sure can. Is watermelon good for dogs? It sure is. Watermelon is a healthy and refreshing treat for both humans and dogs, and a great way for you to enjoy a treat with your best fur friend that neither one of you will have to feel bad about consuming! Giving dogs watermelon is a small but significant investment in their overall health, so slice up that fruit and share it with your fur pal. There are no known side effects caused by eating watermelon since it mostly consists of water. Can you give a dog watermelon without worrying about side effects? You probably can, as long as you remove the rind and the seeds; both which can cause stomach issues and intestinal obstruction. Even this is quite rare, but you don’t want to take the risk when it is so easy to remove them before tossing watermelon bits and pieces for your fur buddy to catch. But, are dogs allergic to watermelon or can they be? No, in general, dogs don’t tend to be allergic to watermelon, but as with everything, it is always a good idea to look out for any odd behaviors or rashes after feeding something to your dog for the first time. 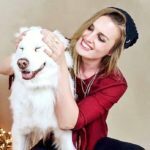 You are not the only dog owner who has ever wondered; “Is watermelon good for a dog” or “Can dogs have watermelon?” The truth is that every responsible dog owner asks themselves – and should ask themselves – what their furry family members can- and cannot eat since it is our job to look after them and make sure they are safe. 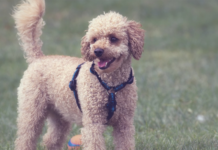 You may wish to read our hypoallergenic dog food review! 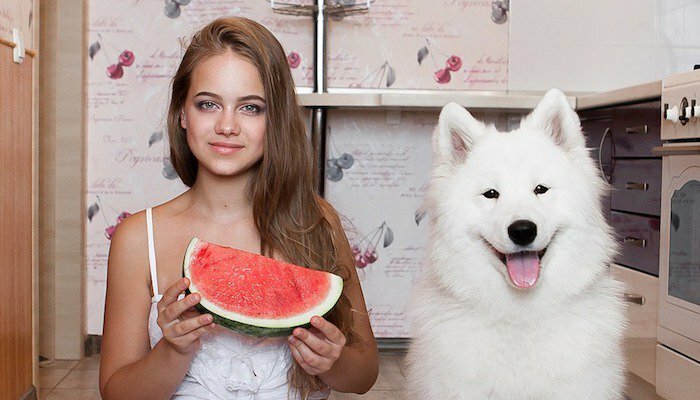 The only side effect might be that from the second you feed your pooch watermelon – you will never be able to eat watermelon again without having him or her stare at you with those irresistible puppy eyes. They will come back for more. Is that really such a bad thing, though? Now we have answered the million-dollar question: Can dogs have watermelon (or more specifically: Can MY dog eat watermelon)? And it is time to move on to the best ways of making watermelon good for dogs, and how to best feed it to them. There are not that many recipes involving watermelon, not for dogs since watermelon is a water-based fruit which is a little difficult to work with, but there are a few fun things you can do! + Toss small pieces into the air and let your dog catch them! 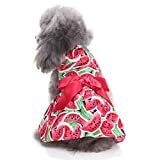 He or she will love the fun of it, and since watermelon has very few calories, you won’t have to worry about overfeeding your pup (watermelon should also be fed in moderation, obviously, as with everything else). + Hand over a whole slice or a big chunk of watermelon and let your dog go at it as he or she sees fit. If you choose to feed your dog a large piece with the rind still on – just make sure you remove it once they’ve eaten all the fruit and made it down to the rind. + When preparing watermelon for dogs, you can also consider freezing a large chunk of it (remove seeds and the rind first), as that will be refreshing on a hot and sunny day. This way of eating watermelon makes it last longer and cool off your dog on days when he or she might feel a little overheated. + You can also use the mashed-up watermelon or the watermelon juice, put it in a plastic container and leave it in the freezer overnight. This will serve the same purpose as the suggestion above but will last even longer since the liquid will freeze into a more solid consistency than a whole piece of fruit. Think of it as watermelon ice-cubes! Make them big enough not to fit in your dog’s mouth though, since melon water ice-cubes are slippery, and you don’t want your pup to choke on it. By freezing it in a large cup – you help show your dog that he or she needs to lick and chew to get to that delicious flavor. + Add it to food! If your pooch is a picky eater but loves watermelon – why not add it as a topping to their kibble or wet food? It could potentially motivate them to eat their dinner, especially if revolving it in the bowl, and it is a healthy additive that won’t add any significant number of extra calories. + Take a small bucket of water, add watermelon cubes and let your dog stick his face down in the water to fish out the watermelon! It is another great option for warm days, and it will challenge your pup to think while trying to get his favorite snack out of the water. Brain games are great for dogs since it activates them mentally, so why not give it a try to see how good your dog is at fishing watermelon out of the water? We all love our dogs and watermelon is a great way to show them some extra appreciation from time to time, and it is perfectly fine for them to have both regular watermelon and seedless watermelon. The only true difference is that you will need to remove the seeds from a normal watermelon, and you will save yourself the effort with a seedless fruit. So, the answer to “Is watermelon ok for dogs” is yes, and this includes the seedless variety too. You can safely head over to the store and pick out whatever watermelon they have available; without having to worry whether or not it is seedless, and then share it with your precious pup once you get home. The watermelon is delicious, light, low in calories, refreshing, full of antioxidants and vitamins, and best of all – most dogs love it. 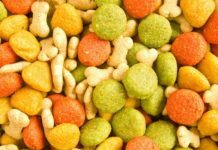 It is something you can share with your pooch and that is equally good for the two of you, and it can even be used as a training treat for dogs that tend to gain weight easily (might be a little messy, but hey, it will be worth it). 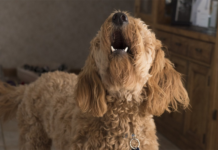 It is easy to forget how many fruits and vegetables that are great for our dogs, and that we can use to reward good behavior instead of store-bought dog treats. Using what you have at home might be good for your economy and for your pup’s health at the same time; plus, it feels nice to be able to share something with your best friend. Sharing is caring, like they say, and isn’t that what friends are for?